In recent years the drip coffee maker has reinvented itself. In this review, we take a closer look at some of the best SCAA certified coffee machines on the market today. A drip coffee maker is an excellent option for the groggy early risers. 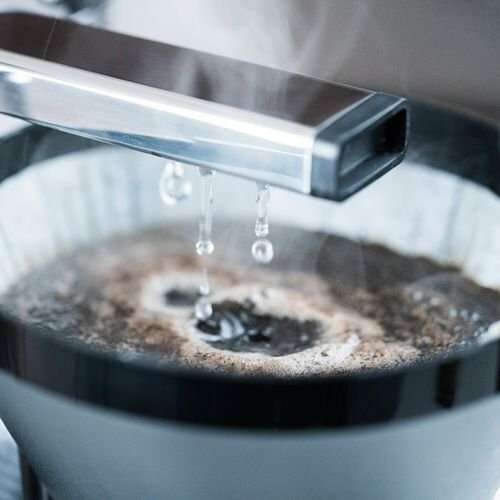 While fans of pour over and espresso may not find freshly brewed drip coffee to be the most thrilling method, a good drip maker will protect you from the risks inherent in boiling hot water, high pressure, and a befuddled user. Not to mention that there is a good deal of convenience in an old school coffee maker, too. Especially, if you need to brew bigger batches frequently. That’s why we have put together an overview of the SCAA certified coffee makers, so you can rise above mediocrity and find a truly epic coffee machine. All these machines have modern technology that makes them a lot more capable than the noisy machines from your childhood. 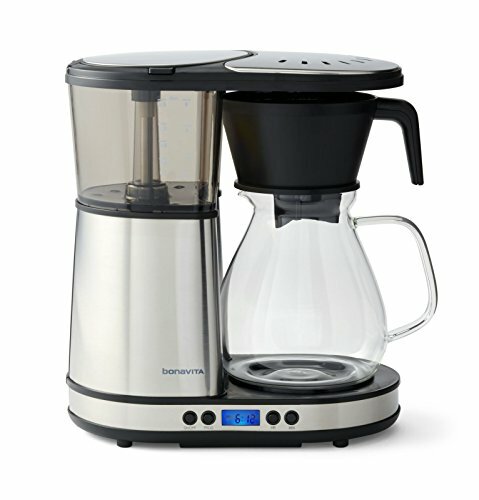 The Bonavita Drip Coffee Maker is a great machine that has incorporated many features known from “pour over” into a compact and minimalistic brewer. It utilizes pre-infusion, brews at the SCAA approved 200 degrees Fahrenheit and you can even use the flat-bottomed ‘Kalita’ filter, which promotes even extraction. Basically, this does exactly the same as a Portland hipster barista – without being annoying! Drip coffee makers have fallen out of favor with baristas and large parts of the coffee drinking elite in recent years. Instead, newer contraptions such as the pour over and the Aeropress have taken over as the de facto standard brewing methods among the more knowledgeable coffee snobs. However, the demise of the traditional drip coffee maker is slightly unfair. In and of itself, it’s not an inherently bad brew method. 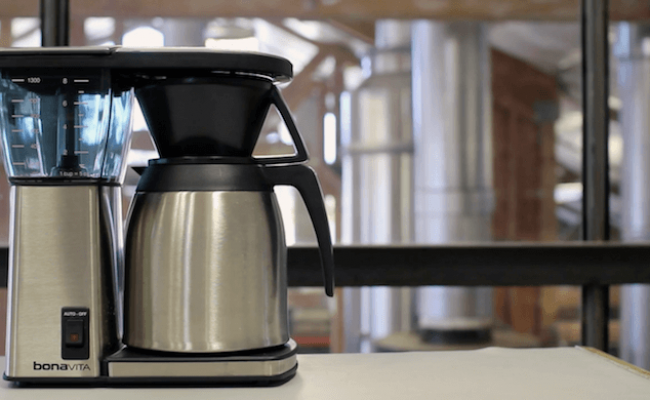 The Specialty Coffee Association (SCAA) has actually made a list of coffee makers that live up to the highest of barista standards. In order to make it to the list, these coffee makers have to live up to objective criteria for things like temperature, time, extraction etc. Every year there are tests, where the manufacturers can submit their newest models. And only the best actually make the final list. While the more old-school models simply heated water and poured it over the grounds, the best drip coffee makers available today offer temperature gauges and a pre-infusion step. Both of these options will give you a much better cup of Joe! Coffee Makers that brew at 200 degrees: The ideal brewing temperature should be between 195 and 205 degrees Fahrenheit / 90 to 96 degrees Celsius. Also, the brewer should be able to hold a stable temperature in the carafe up to 30 minutes after the brew cycle is over. Speed: It shouldn’t take less than 4 minutes to go through a brew cycle and 8 minutes is the maximum allowed time. Extraction: This is a bit technical, so let me borrow the definition from the SCAA: “Minimum technical requirement is for a beverage strength (solubles concentration) of between 1.15% and 1.35% resulting from an extraction (solubles yield) of between 18.0% and 22.0% from the weight of coffee in the brew basket, as determined by a coffee refractometer and brewing control chart“. Basically, it means that the coffee maker has to make a damn good cup every time. Pre-Infusion: Pre-infusion is not a part of the ‘objective criteria’ used by SCAA but nonetheless it’s an important step that I think should be included in any good brew practice. It refers to the process of wetting the grounds in hot water (200 degrees Fahrenheit / 93 degrees Celsius) to release any carbon dioxide remaining in the coffee grounds from the roasting process. The best drip coffee makers offer a pre-infusion step. The SCAA has given us some thorough guidelines when it comes to ensuring a high quality of the brewed mocca. But there are things that you should consider that has more to do with your personal preference before you go shopping. Do you entertain a lot of people or have a large family? Is it worth it to have a large coffee machine that will take up a lot of space on the countertop? If not, you might want to look into a smaller model suitable for 5 cups. Back in the days, it was common to use the combination of a glass server and a heat plate. On the surface, this seems like a good solution but there is one problem. If you like to brew bigger batches and pour as you go, eventually the coffee will go rancid and stale in the glass server. This happens because heat plate is actually evaporating a tiny bit of the coffee all the time. At the same time, the free air flow oxidizes the brew, making it less delicious. For that reason, I recommend a thermal carafe for coffee drinkers who want the flexibility of making a big batch to last all day. Yes, it’s more difficult to clean the thermal carafe but you will have a fresher tasting brew for a longer time. “I would also avoid buying a machine with any sort of hot plate. Keeping a jug of coffee on a hot plate very quickly ‘cooks’ the coffee, producing some unpleasant flavours. Some models basically just have an on/off button while others are like small computers capable of doing highly advanced stuff. You might want to consider the typical scenario where the machine is going to be used. In an office setting where a lot of people will handle the brewer, too many options are bound to awry. However, if it’s the same persons who’ll be using the machine, again and again, programmability and memory functions could be worthwhile. It goes without saying, that you should consider the price tag as well. Today, you can get a lot of coffee machine for just a few dollars. In the range between $100-150, you should be able to find a machine that will serve you well for the next decade. This high-tech OXO Barista Brain creates pour-over method coffee automatically. The water is heated to the perfect brewing temperature, then sprinkled evenly over the coffee for ideal saturation. Once the wetting process is complete, the coffee is brewed directly into a sealed thermal carafe. Fans of pour-over coffee who struggle to find time in the morning to brew the perfect carafe will enjoy the timer feature on the Barista Brain. 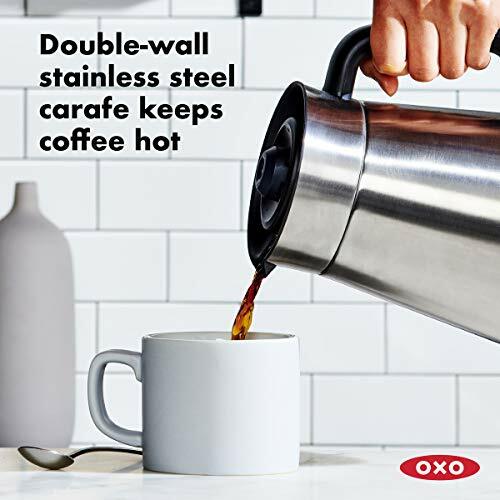 This coffee maker can be programmed thanks to the 24-hour timer and will even let you know the freshness of the coffee remaining in the thermal carafe. The Barista Brain offers users the best of both worlds: the convenience of an at-home drip machine with the flavor of a detailed pour-over. 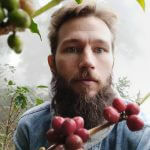 It’s important to remember when deciding between pour over and drip machine: The risks inherent in pour-over coffee can be made much worse by someone who’s groggy, asleep on their feet or work out from a night of over-imbibing. The Moccamaster is a classic for a very good reason. It simply offers a world-class cup of coffee without a lot of fuss. It’s easy to use and clean, and it delivers on the basics. The downside is that the design and the technology is a little bit ‘dated’ compared to some of the grand-cru models, we talk about in this article. You can think of it as the coffee machine equivalent of a sturdy, old BMW versus a modern Japanese car. Onto the geeky stuff: The copper boiling element inside the water reservoir will heat the water to the perfect brewing temperature and release just enough water to the grounds to allow the coffee to bloom. Then the brewing process will complete, placing your coffee in a glass carafe that will maintain an ideal 175 to 185 degrees Fahrenheit / 79 to 85 degrees Celsius until it shuts off on its own in 100 minutes. If you leave a cup behind, it won’t burn away! The water dispenser in the Technivorm Moccamaster provides your ground coffee with a thorough soaking. This water spraying arm offers 9 outlets for an even wetting. The brewing cycle will then pause before moving forward to brew the rest of the pot. IMHO it does brew a little bit fast, but you can compensate with a finer grind. Well-known, acclaimed model. 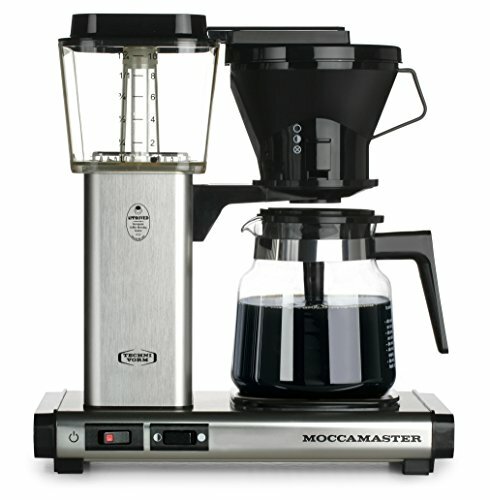 The Moccamaster is a modern classic! Bonavita is one of the more serious coffee brands out there. And in recent years they have upped their game substantially with a lot of beautifully designed new products. This model offers great coffee in a small footprint. 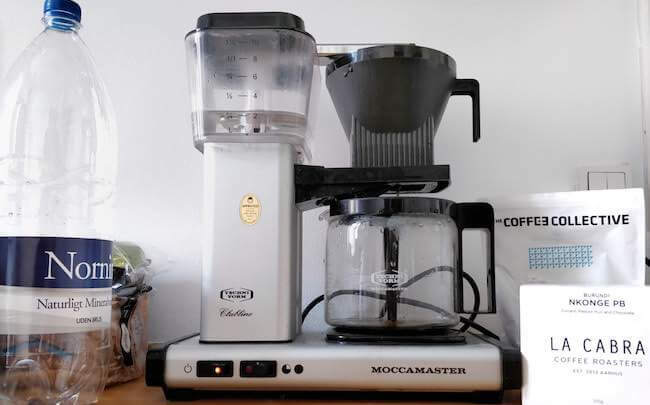 Barely over 12 inches tall and only 6 inches wide, if you’ve longed for barista coffee but can’t give up the counter space, this coffee maker will work for you! 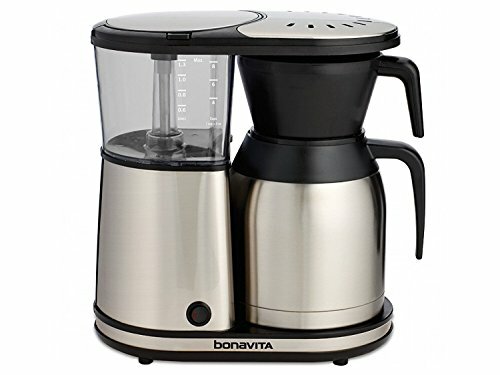 The Bonavita BV1900 features a programmable pre-infusion cycle for best coffee bloom and will decant your coffee into a beautiful clear glass carafe. The burner will shut itself off after only 40 minutes. 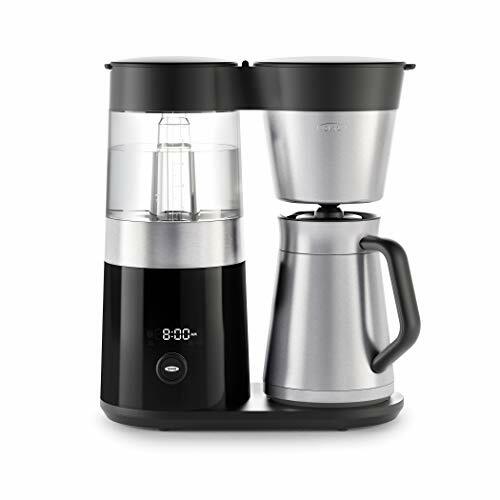 While it’s not actually on the SCAA approved list, I can’t help but be a bit more into the sister model BV1902DW, which has a glass range server instead of a thermal carafe. This coffee maker will look beautiful on your countertop (and Instagram feed) and make great coffee at the same time! However, it may prove fragile when cleaning. It is dishwasher safe, but should be handled with care! This coffee maker also uses the special kind of flat-bottomed coffee filter that is well known from the Kalita Wave. These filters promote even extraction compared to the regular ones. All in all, this model has a lot going for it, and even the most portlandish hipster types out there shouldn’t feel embarrassed to display the product on their reclaimed wood countertop. Great looking range server instead of the usual boring carafe. You might think Cuisinart coffee… meh… and you’d be right most of the time. Except with this one. 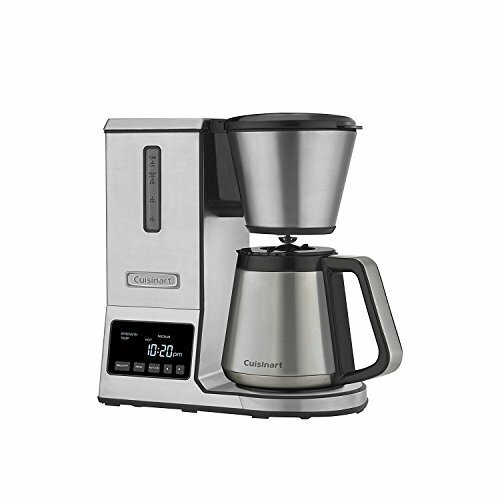 Any household with multiple coffee drinkers should check out the 8 cup Cuisinart, which is probably one of the best amateur batch brewers available at the moment. This hearty coffee maker offers 24-hour programming and a water filter. The thermal carafe is dishwasher safe but in fact, you can also get it with a glass version. The burner settings offer multiple “keep warm” choices, so no matter how long it takes you to finish a pot of coffee, you can enjoy a hot cup of unburned coffee! The burner has multiple options for the auto shut-off timer to reduce the risk of dangerous coffee burn events. And of course, you can brew smaller batches as needed. 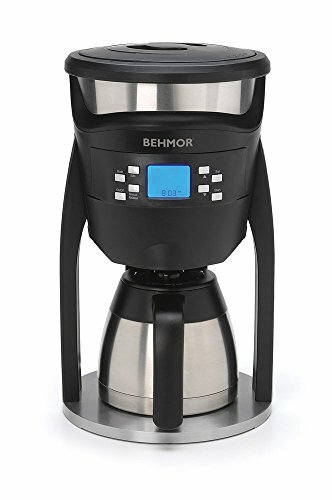 The Behmor Brazen Plus is the Lamborghini of the drip coffee maker world. It has all the most advanced functions, and there is no doubt that it brews a divine cup of Joe. But because it’s so uncompromising it’s neither the fastest nor most convenient model on the market. The Behmor Brazen can be programmed both when it comes to pre-infusion time, temperature, and elevation! Yes, that’s right; if you live in a high altitude area it affects the boiling temperature of water, and you should make some adjustments to your coffee brewing, which this model will actually do for you. The problem with the Brazen is that it’s pretty slow compared to the other coffee makers. It can easily take 10-12 minutes to brew a batch. This is because it heats the water much the same way as an electric kettle before it starts the brewing itself. The good thing about that, however, is that you truly obtain the perfect temperature. This coffee machine has a very large brew head, and you can use it with either the included mesh filter or basket-style paper filters. I recommend that your pair it with Kalita Wave 185 paper filters if you really want to get the cleanest and smoothest cup possible. The Behmor Brazen doesn’t rely on a heating plate but instead uses a high-quality thermos that will keep your coffee at perfect drinking temperature for 1-2 hours. One of the main worries with the many functions of the Behmor Brazen, however, is that complicated things tend to break down more easily. Some users have complained about technical problems and breakdowns just outside the 24 month warranty period. If you’re a super geeky coffee lover, or even a coffee professional, who only wants the best, then this machine should be on your radar. If you can live with less customisability other models such as the Bonavita or Moccamaster might be better options for you. Ask yourself if you’re gonna be buying freshly roasted beans and grind them yourself? If that’s not you, then opt for a more basic model. The real issue with the classic coffee maker isn’t that it’s a bad brew method. It’s rather that a lot of clueless home baristas have abused this device for decades with bad beans and sloppy cleaning, hence creating the perfect storm of bad brew habits. In fact, if you just follow the normal barista best-practice you should be able to produce coffee that is almost on par with the aforementioned hipster brews. To get the most value out of your brewing device – no matter which one – it’s important to adhere to the following guidelines. Invest in great beans and a good quality burr grinder. If a burr grinder is out of your budget at the moment, purchase your coffee freshly ground in small batches and store it in an airtight or vacuum-sealed container. You don’t need to refrigerate it; simply keep it airtight and cool. It’s tempting to measure the water by looking and measure the coffee by scooping, but you’ll get a much more consistent cup of coffee every time if you use a scale. A good brewing ratio is usually around 66 grams of coffee to 1 liter of water. You’ll need a scale that can be reset to zero so you can get an accurate measure of weight minus your carafe. If possible, look for a scale that reads both in grams and in ounces. Also, a battery-powered scale will take up less counter space. Use great tasting water with the right mineral content. Many people forget that coffee’s main ingredient is water. If the water isn’t tasty the coffee won’t be tasty. Ideally, you should use rather soft water with a mineral content around 90-150 TDS. Always rinse the paper filter before brewing! You don’t want that unpleasant papery taste in your brew! It goes without saying – but cleanliness should be a top priority! Clean the carafe and the filter with a brush and some cold water. That should be sufficient. Once in a while use a descaler and give the whole apparatus a thorough cleaning with baking soda. Now you have all the knowledge you could ever need in order to find the perfect drip coffee maker. If you choose one of the machines in this article I’m extremely confident that you’ll be able to make barista-level java juice at home. Remember, that one thing is the machine… another thing is the brewing technique. Always clean your machine after each use and use good beans as well as water. That’s it. May the caffeine force be with you.